Everyone knows that robots are merely lifeless machines, no matter how amazing their abilities may be. However, you may be surprised at how often scientists replicate the features and capabilities of living creatures to increase robotic performance. In fact, there’s even a whole branch of robotics called “biomimetics” dedicated to that single premise. 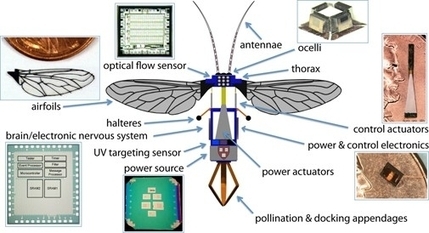 The term biomimetics means literally to “mimic life.” Insects are one form of life from which biomimetic scientists draw significant inspiration for new types of robotic technology.